In West Virginia, for example, the laws are somewhat non-existent. There are no leash laws and no restrictions on how many animals one owner can have on their property. They do not always give these dogs vet care so they are sometimes sick, and many have never even been to the vet for puppy shots, deworming, etc. 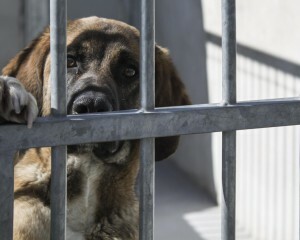 At the one particular shelter we frequently visit in West Virginia, in a bad month they could euthanize 150-200 dogs and that includes males, females, puppies & pregnant moms regardless of breed or temperament. Many people do not spay and neuter so there are more pets than owners. We also rescue from another high kill shelter in Bowling Green, KY. That shelter was forced to euthanize at alarming rates as well until they started looking to rescues for help. In one month, they were putting to rest as many as 500 dogs and cats. We try to do our part in finding new homes for animals that need us by pulling them into our foster homes. But once again, there is little or no vet care and certainly not enough animals being altered to control the problem by pet owners.